Hello, sain bainuu! Or, Сайн байна уу if we’re being proper about our script usage. Like a lot of Soviet influenced countries, Mongolia uses Cyrillic script to phonetically spell out the language. The change in language, weather and time zone makes Mongolia feel like polar opposites with San Francisco. Even though I haven’t been in Mongolia for a full week yet, the whole immersive process into Ulaanbaatar makes me feel like I’ve been here for as long as I can remember. I’ve been receiving so much since my arrival — kindness, the great energy of the participants, knowledge and warmth from the host gallery and Embassy here. I arrived into the tiny Chinggis Khaan International airport late at night, greeted by Binderya Munkhbat, the translator who would be helping me these next few weeks of work. Bindey’s big, radiant smile immediately reassured me that I was in good hands, and that I had an ally in navigating a place that some folks, like the Economist deem “the Bangkok of the Steppe”. (http://www.economist.com/node/21543113). The Economist article gives a pretty good description of UB, although mining contracts have been fluctuating recently. UB is a place where you might think how impossible it is to cross the street with relentless drivers on the road, admire crumbling Soviet style buildings, as you’re on your way to a restaurant with some of the most delicious North Indian food you’ve ever had, run by expats of Hazara ethnicity and eat this food sitting inside a Haveli made of teak wood. Needless to say, cognitive dissonance is an understatement in UB. 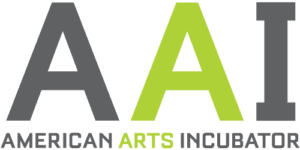 I gave two artist talks the next day, on June 5th to help promote the workshop, one at the American Corner (a program that I was unaware of, but in some cities abroad the U.S. Embassy sets aside a space for learning about American culture) and another at the partner gallery, 976. Right before my first talk, it started torrential downpouring, with pools of water forming in the streets, and I was convinced no one would come to the talks. Bindey assured me not to worry, and that the rain was a good sign. She told me that there is a Mongolian belief that the person who brings the rain, brings good will. People did end up attending and I had my fingers crossed that the same would happen for the next day, workshop day 1. About 17 people from all walks of life showed up to workshop day 1 on Saturday, June 6. It was a strange day to hold a workshop: I didn’t know that it was Ulaanbaatar International Marathon until I stepped outside of my apartment and the streets were entirely free of cars. Police and barriers were up on the street near 976 Gallery where the workshops were being held. The entire city was car free for the day. Despite the transportation difficulties (no motor vehicles on the roads), we had fantastic energy on the first day. We looked at mapping and cartography as a tool and as an art form itself. Participants then worked in groups to pick a place in the city, went for a walk, and mapped one built or environmental process that they saw. 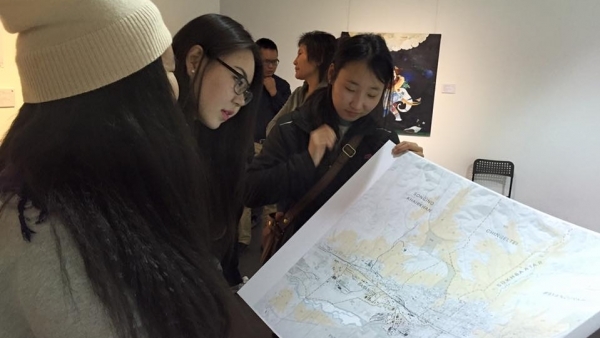 One group managed to map 502 trees in the central UB area! Others went to interstitial spaces near the river, and for one participant who lived in a ger district (http://thediplomat.com/2014/03/mongolia-puts-ger-shantytowns-on-the-map/ for an explanation of ger districts, they are essentially informal areas where traditional felt tents, or gers are set up by families and they become urban campers) it was her first time placing the context of her neighborhood in the larger map of UB. It was wonderful to see how flexible everyone was — that any original expectations of what an “art workshop” would be like went beyond the confines of traditional artistic mediums. We gathered more and more new participants for Sunday, day 2 of the workshop. We talked about findings from day 1, and looked at prototyping, making small models, and using LittleBits as a prototyping tool to make interactive sculptures that respond to sound, motion and light. Using these tools, participants were encouraged to take their findings and environmental issue from the first day and connect it to site conditions, socio-economic conditions and put together a prototype. The group that mapped trees the previous day began to refine their idea into a project — perhaps putting sensors in the soil and lights in the tree that would call attention to issues of soil pollution and street trees. One artist brought his daughter for the day, and they built a sound triggered sculpture together. Another group thought about the countryside, and a way to protect herders’ sheep on the grassland from wolves : if one actuator could trigger a mechanism to wake up guard dogs. It was exciting to see everyone work collaboratively and in such a hands on way — something is apparently pretty rare for typical, stiff “training sessions” as it’s called here. We gathered even more steam and more participants on Day 3 — by then the gallery space was probably at capacity! Nearly 30 people showed up for the workshop, and people formed groups for projects, presented their project ideas and we held some very Silicon Valley style, rapid ideation exercises. We went through what their project idea was, trying to summarize succinctly, plan out a project with budget and go through an impact versus effort analysis to identify where the passion was for each project, what the most important elements were for each idea, and trying to cut away excess elements for increased project agility and to strengthen project feasibility given fiscal and time constraints. I was incredibly excited in seeing the discoveries that people made, and seeing the groups work through a process that everyone expressed was “very, very new” to them. -Making a sculpture from dough, cooking it, bringing it to both a landfill site where families in poverty lived, having people eat the sculpture and break bread together. -Constructing an “art ger” (ger is tent, so it’s a art tent) that would travel from city to countryside, with art workers living inside the ger and offering art beautification services to countryside and city families. -Ger district art improvements — improving an earth road in a ger district by formalizing and building a concrete portion 10 meters long on a key incline, painting the road with traditional, colorful patterns. Also creating curtains to hang over the wooden fences that have become typical and visually representative of ger districts (and thereby equated as “rundown”), with the image of the house that each household would like to live in. Just some group ideas…! Each group will be working on their presentation in the meantime… !